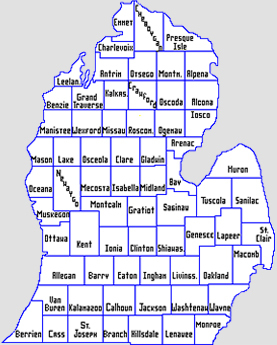 SERVICE AREA Covering all of lower Michigan. Every effort is made to attempt within 72 hours of receipt; This includes 3 diligent attempts per defendant/per case that include a morning, afternoon and an evening attempt one of which will be a weekend attempt. 3 service attempts made within 48 hours of receipt. If service cannot be perfected within 48 hours with the three attempts, we only proceed with further instruction from you. Additional fees do apply for this type of service. Only done at clients specific request! 3 service attempts will be made within 24 hours of receipt. If service cannot be perfected within 24 hours with the three attempts, we will only proceed with further instructions from you. Additional fees do apply for this type of service. If the address if vacant, the documents will be returned to you. If the address is occupied and there is a claim that the individual does not live there, we will notify you with a notarized affidavit of our findings. If the defendant is evasive, we will provide you with a detailed and notarized affidavit with our findings. Once the courts return your alternate service order we will post immediately following receipt. This is included in your Standard Service Fee.